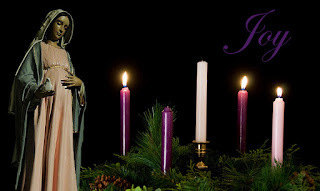 Sacerdotus: 3rd Sunday of Advent - Gaudete Sunday: Rejoice! The One is to Come! 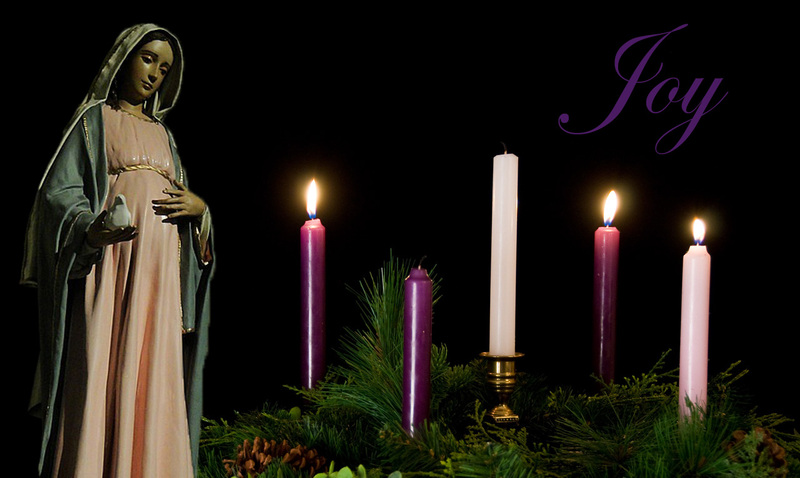 3rd Sunday of Advent - Gaudete Sunday: Rejoice! The One is to Come! We are in Gaudete Sunday, the Sunday of Joy. Our joy is in Christ Jesus whose birth we are approaching (John 15:11). Christ came to restore all things (Acts 3:21, 1 Peter 5:10). In the first reading, we read of the desert and parched land exulting. The steppe rejoices and blooms. Things will begin anew (Revelation 21:5). Those who are feeble will become stronger. Those who are afraid will become courageous. This is because God comes with vindication and recompense to save all. Those suffering will suffer no longer. All will be joyous and glad in the coming of the Lord. God Himself will come to save us as we read in the responsorial Psalm (Ezekiel 34-36). He keeps His promises and carries them out (Psalm 145:13). God will care for all, especially those in dire need and those who are humiliated before others. Christ gave us a taste of this during His first coming. However, at His second coming. those who remained faithful and did what they had to do will reap the reward of eternal life (Matthew 24:13). We must wait for this second coming and be patient. The second reading reminds us of this by using the metaphor of a farmer who waits for the precious fruit. It has been over 2,000 years and Christ has not returned. Many have come and have gone waiting. This does not mean that Christ is not coming and has abandoned us (John 14:18). We must wait patiently until all that has to happen, happens. We can only know when it is near. The Church teaches us what we must look for in the catechism in paragraphs 668-677. First Christ will reign through His Catholic Church which is happening now. The Catholic Church is all over the world, but we have not reached everyone yet. Next, all things must be subjected to Him, Jew and Gentile: "The 'full inclusion' of the Jews in the Messiah's salvation, in the wake of 'the full number of the Gentiles." All of Israel will accept her Messiah. After this happens, the Church will face her biggest trial ever when the Antichrist comes. Many will lose faith while others will be deceived with "easy ways" of doing things that will seem to make the Catholic Church obsolete. This is why we must remain faithful and strong. We must be patient and not complain about God or one another. While we are doing this, we must be on watch for the signs of the times as the catechism describes them. Finally, in the Gospel, we see the revelation of the One, the Messiah who is Christ. John the Baptist was in prison and heard of the works of Christ. This Christ is the one he was preparing Israel and us for. The followers of John asked Jesus if He was the One and Jesus tells them to tell John what they have witnessed. Jesus restored sight to the blind, healed the lame and deaf, raised the dead and proclaimed the good news of joy and hope to the poor. In other words, Jesus fulfilled what was written (Isaiah 61:1-2). Jesus then confirms John's role as the one who prepared His way (Isaiah 40:3-5). He reminds the people that this prophet did not come looking like a rich person or king. Despite his appearance, he is great. However, Jesus tells the people that the least of those in His kingdom are greater that even John himself (Matthew 20:16). These least are the pariahs who are forgotten by man, yet remained faithful to God and God remained faithful to them. They are great because Christ came to save them just like a doctor goes to the sick and does not focus all of his talents on the healthy (Mark 2:17). Let us be watchful of the signs, pray and be holy always. No one knows when the day or hour will come. In the meantime, let us prepare by going in grace, love, and hope; and by calling others to it by inviting them to the Catholic faith not only with our words, but also with our witness. May Jesus Christ return soon and may He have mercy on us all! Source: "The Joy of Knowing Christ; Meditations of the Gospels"
As announced in prophecy: the law rose up and took shape in John. For the law announced Christ, predicted the forgiveness of sins and promised the kingdom of heaven. John thoroughly accomplished all this work that belonged to the law. Therefore when the law (i.e., John) was inactive, oppressed as it was by the sins of the common people and held in chains by the vicious habits of the nation, so that Christ could not be perceived, the law (represented by John) was confined by chains and the prison. But the law (i.e., John) sent others to behold the good news. In this way unbelief would be confronted with the accomplished truth of what had been prophesied. By this means the part of the law that had been chained by the misdeeds of sinners would now be freed through the understanding of the good news freely expressed. Source: "On Matthew 11.2," quoted in Manlio Simonetti, ed., Matthew 1-13, Ancient Christian Commentary on Scripture (Downers Grove, IL: InterVarsity Press, 2001), 217. It seems almost as if John did not know the one he had pointed out, as if he did not know whether he was the same person he had proclaimed by prophesying, by baptizing, by pointing him out! We can resolve this question more quickly if we reflect on the time and order of the events. For when John is standing beside the river Jordan, he declares that this is the Redeemer of the world. But when he has been thrown into jail, he asks whether they were to look for another or whether he had come. This is not because he doubts that he is the Redeemer of the world. John now wants to know whether he who had personally come into the world would also descend personally into the courts of hell. For John had preceded Christ into the world and announced him there. He was now dying and preceding him to the nether world. This is the context in which he asks, "Are you he who is to come, or shall we look for another?" But if he had spoken more fully he might have said, "Since you thought it worthy of yourself to be born for humanity, say whether you will also think it worthy of yourself to die for humanity. In this way I, who have been the herald of your birth, will also be the herald of your death. I will announce your arrival in the nether world as the One who is to come, just as I have already announced it on earth." Source: "Forty Gospel Homilies, 6.1," quoted in Manlio Simonetti, ed., Matthew 1–13, Ancient Christian Commentary on Scripture (Downers Grove, IL: InterVarsity Press, 2001), 218. John is greater than the other prophets for this reason: the other prophets predicted to John that someone was to come, but John pointed out with his finger that he had indeed come, saying, "Behold, the Lamb of God, who takes away the sins of the world." And he reached not only the rank of a prophet but even to that of Baptist, by baptizing his Lord. This heightened his significance. He thereby fulfilled the prophecy of Malachi in which an angel is foretold. John belonged to the order of the angels not by nature but by the importance of his task. It means he was the messenger who would announce the coming of the Lord. Source: "Commentary on Matthew, 2.11.9," quoted in Manlio Simonetti, ed., Matthew 1–13, Ancient Christian Commentary on Scripture (Downers Grove, IL: InterVarsity Press, 2001), 2215.